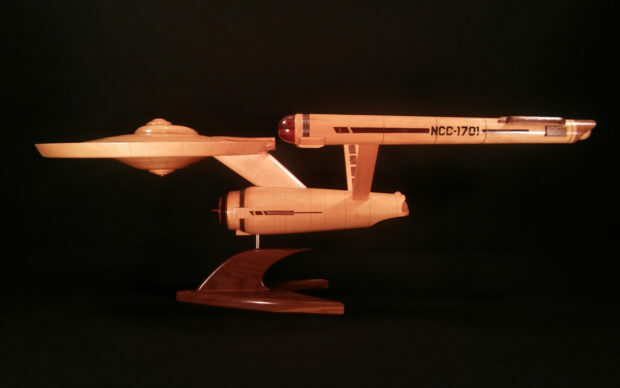 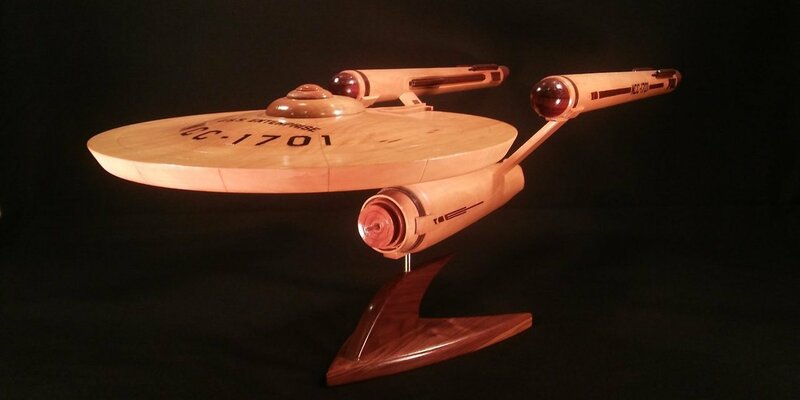 This beautiful wooden replica of the Enterprise (NCC-1701) measures 36″ long by 16″ wide by 8″ tall. 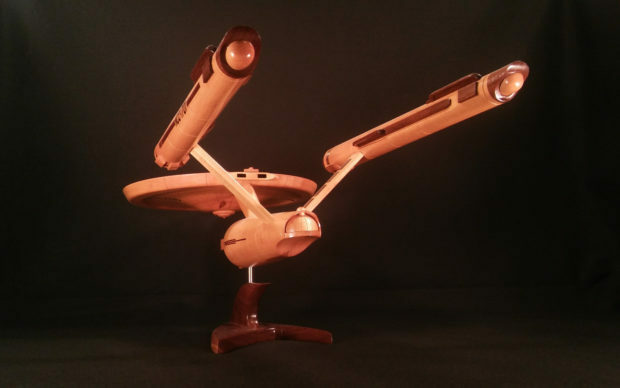 It was made from hard maple, black walnut, padauk, osage orange, ebony, and yelloheart. 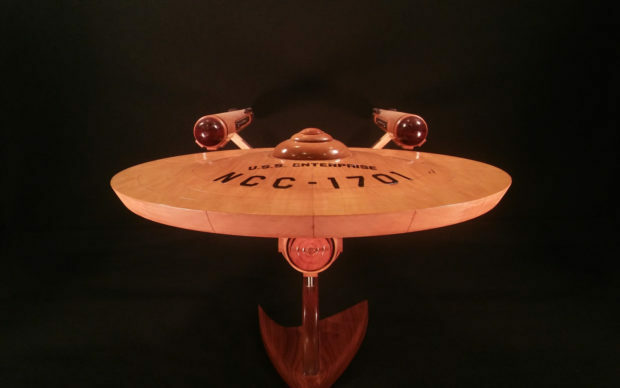 Every detail you see, from the ship’s iconic NCC-1701 badging to the colors of the warp nacelles and deflector shield were created using different types of wood.